With music so readily available these days, one might expect less demand for live music, yet the opposite appears to be the case. 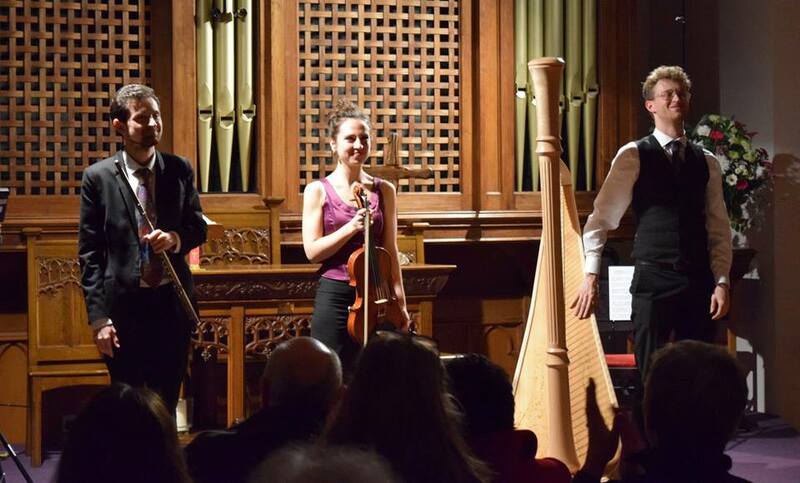 Saturday’s performance by the Pelléas Ensemble to a well-attended and attentive audience showed that live music is the musical experience that is top of the league. Their name is associated with Maeterlinck’s play, ‘Pelléas and Mélesande’, that has been set to music by several composers. Stops on their current Scottish tour included Boat of Garten, Poolewe and Uig in the Isle of Skye. We do not know whether the romantic scenery had any effect but their warm delivery of a varied and thoughtful programme certainly wooed the Inverurie audience. It is said that a kiss without a moustache is like beef without mustard but the crystal-clear acoustics of the Acorn Centre produced no fuzziness. Likewise from the players there was no trace of embellishment or gimmickry to distract the listener- only their pleasure from the music itself. Like the romantic love of Maeterlinck’s fantasy, the ideal was achieved with a spiritual understanding between the players, producing a pure display of musicianship. 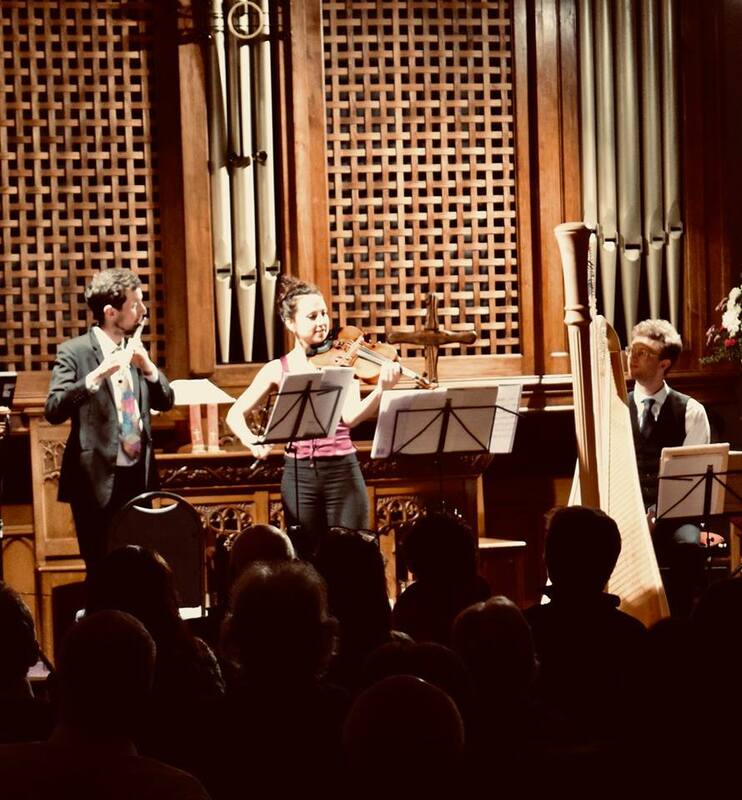 The members of the ensemble- Henry Roberts (flute), Luba Tunnicliffe (violin and viola) and Oliver Wass (harp)- formed at the Guildhall School of Music in London in 2011. They are sponsored by the Tunnel Trust, which selects promising young musicians and supports them in starting their careers. On this occasion remote locations benefitted that would not normally be able to bear the cost. The concert opened with two slices of baroque that provided the bread for a romantic sandwich. The Corelli Trio Sonata gave us a clue to the ensemble’s punctilious care to phrasing, allowing each instrument to speak without dominating the others. The romantic piece, the Saint Saëns Fantaisie, had immediate appeal. The thematic texture was precisely and delightfully crafted by Luba on the violin, while Oliver’s harp soon showed off its compass and expressiveness. A relentless fandango on a ground bass gave rein to a tricky but skilfully negotiated set of variations. 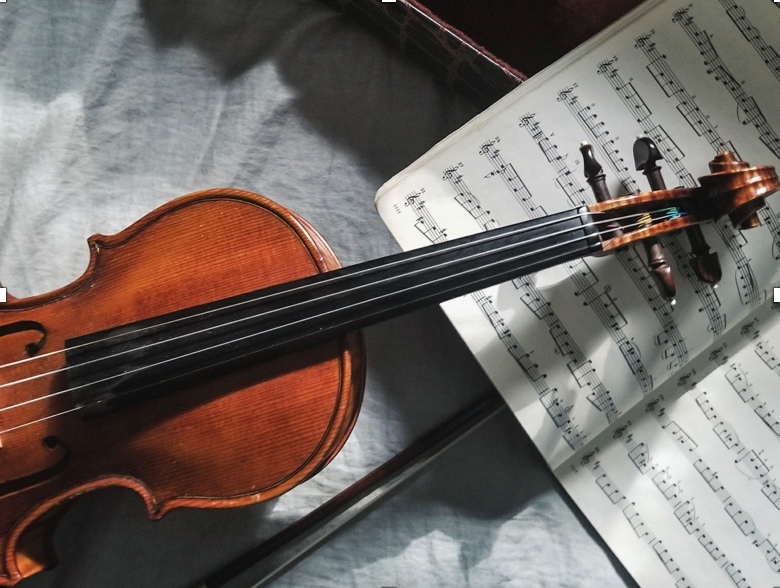 Returning to the Baroque was a solo from Henry of the Fantasy in A minor solo by Telemann that showed understanding of the style and a steadiness and mellowness in tone that could lull a child to sleep. ‘Mosaics’ by Timothy Salter provided the contemporary salad with ‘Mosaics’. Three movements were based on human emotions: Fleeting and Lively, Calm and Exuberant. These expressive and economically composed pieces were expertly played and were appreciated by the audience. The second half or main course was devoted to the music of France, where the spiritual home of the harp might reside. A frolicking transposition of a keyboard work by Rameau was given in great style, followed by the iconic ‘Le Tombeau de Couperin’ by Ravel. Most of this turns up in the popular media in snips and snatches by accident or design, so it was good to hear the work in its entirety and so lovingly interpreted. Each movement was dedicated to a friend that died in the Great War and with true understanding, the ensemble allowed the music to speak for itself. Enthusiastic applause followed. It should be said that this was not only for the music but also for the announcements about the background and not least about how the pedal harp actually works!